The National Benefits & Vehicle Program received this acceptance letter from the Fraternal Order of Police in Miami Beach, FL. Please click on the below image to see the full size letter. 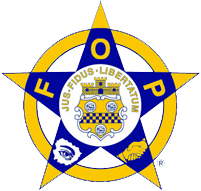 Here is a transcript of the acceptance letter from the Fraternal Order of Police in Miami Beach, Florida. 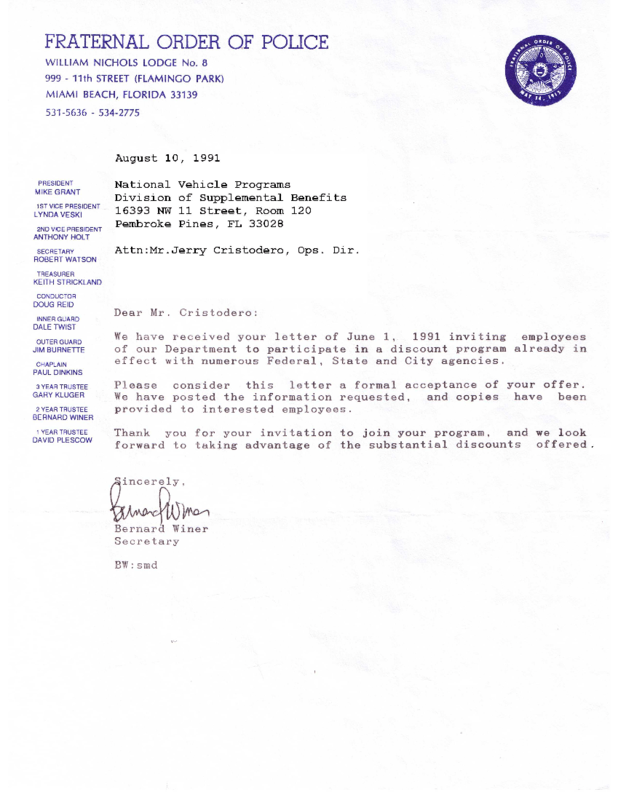 We have received your letter of June 1, 1991 inviting employees of our department to participate in a discount program already in effect with numerous Federal, State and City agencies. Please consider this letter a formal acceptance of your offer. We have posted the information requested, and copies have been provided to interested employees. Thank you for your invitation to your program, and we look forward to taking advantage of the substantial discounts offered.